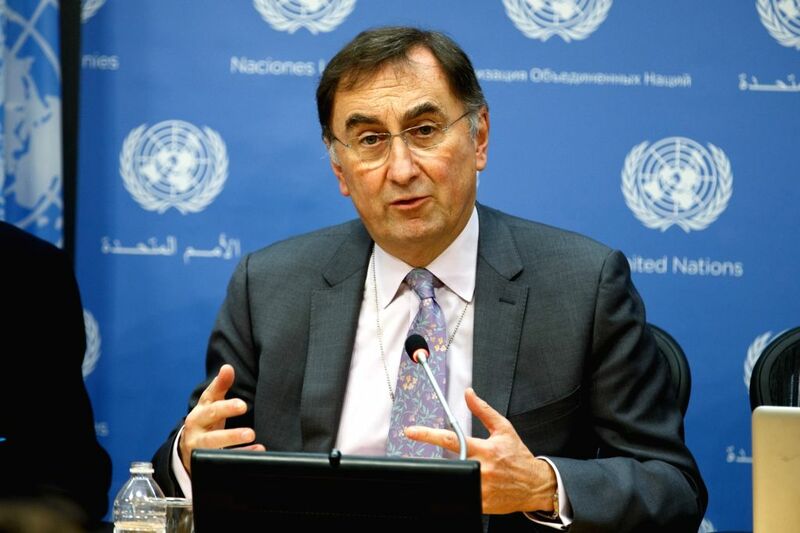 NEW YORK, Nov. 20, 2015 - Janos Pasztor, United Nations Assistant Secretary-General on Climate Change, speaks to the media during a press conference at the UN headquarters in New York, Nov. 20, 2015. "The Paris Climate Change Conference is going ahead and all the related events are going ahead. That's the bottom line," said Janos Pasztor at the UN headquarters on Friday.